Ein umfangreiches Warm-Up mit Yoga Elementen erwärmt den gesamten Körper. Es folgt ein Bodenexercise, die im Laufe der Woche erweitert wird. Es folgen Technikübungen, wie Gewichtsverlagerungen, Balance, Release, die in die Bewegungsfolgen einfließen. Durch Wiederholungen werden die Abläufe intensiviert und verinnerlicht. Es folgen Bewegungen im Raum, die den gesamten Körper mit einbeziehen. Im Laufe der Woche werden mehrere kleine Choreografien erarbeitet, wobei die individuelle Wahrnehmung des Körpers mit der Musik und die Umsetzung im Mittelpunkt stehen. Garnet Hennig ist Choreographin und ausgebildete Sport- und Tanzpädagogin, sowie Pilates Trainerin. Sie ist freischaffende Künstlerin in Berlin und bundesweit tätig. Sie unterrichtet regelmäßig in Hochschulen, Schulen und Zeitgenössischen Tanz im marameo Berlin. In Firmen gibt sie Pilates für das Stress Management. The main focus of this dance class lies on the anatomically correct work with our instrument, the body, and integrating technical dance moves with bodywork. Not only to look at movement from the outside by copying a form or through an athletic altercation with the body, but also to find a deeper understanding for one’s body and its very individual way of moving. Britta Pudelko focus in her work has been on movement, expression, body awareness and healing. As a dancer my path has taken me from ballet via modern dance to contemporary and improvisation. Among others, I have collaborated with Akram Khan, and have been a member of the Achim Freyer Ensemble since 2001. As a guest teacher I worked for Sasha Waltz & Guests, HZT – Berlin, Dance Intensive Program at Tanzfabrik Berlin, BolzanoDanza and Forum Danca, Lisbon. Heidi Weiss teaches a dynamic contemporary technique class with strong roots in modern dance. The class starts with basic yoga poses which focus on breath and clarity, and continues with a series of moving sequences that create length and volume in the body. The dancers are encouraged to take risks by testing physical and spacial boundaries, through a fusion of fluidity and groundedness. Everything culminates into a longer, dynamic choreography with an emphasis on musicality. Heidi Weiss is a dancer, choreogra­pher and teacher living and working in Germany since 1996. She has taught throughout the EU and also in the USA and Asia. She works together with Jennifer Mann. They have created numerous works since 1997. (weiss-mann productions). Heidi holds a BFA from University of Arts in Philadelphia (USA). I have been working for the past 7 years at constructing structures in which a group can work together starting from a clear source and with a direct intention. Starting from a point of research, we will choose how and with which tools we will direct our research. I would like to be the facilitator of this workshop rather than the leader. Bring your tools and I’m sure that you will go home with more than you came with. Alessandro Marzotto Levy has co-directed Impermanence Dance Theatre in Bristol, and has been developing his own projects across Europe for the past 8 years. With an interest in sustainability and holistic practices related to the body, his way of creating reflects the current socio-political state in which we all seem to be slightly lost in. Alessandro hopes to create spaces in which our bodies can relate gently with our minds. It all comes down to being creative and to dive into our imagination. In search of structural patterns that promote ease of movement, the workshop is devoted to awaken the body and mind awareness, finding skeletal support for explosive movement, examining relationships between gravity and space, using imagery and the imagination in movement initiation, and acknowledging the interplay of physicality, emotion and intellect. 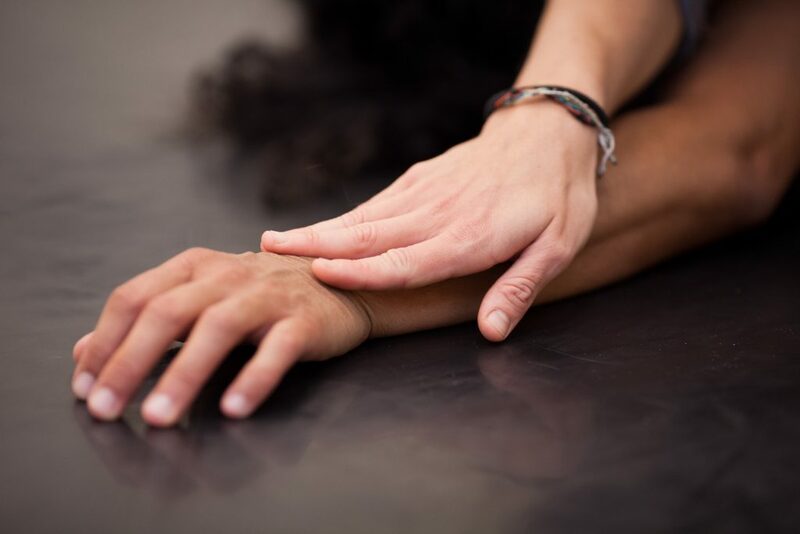 We will start with an efficient Feldenkrais class, in which in every day of the workshop we focus on another body part. When people come to experience an enlarged set of options, they become more creative and resourceful, and develop reactions of a more spontaneous and precise nature. Yael Cibulski holds a bachelor’s degree in dance from the Codarts University of the Arts in Rotterdam, the Netherlands (2007-2011), and is a former member of the Vertigo Dance Company in Israel (2011-2015). She currently works as a freelance dancer, teacher, independent dance-maker and as a certified Feldenkrais® practitioner. Breath, swing, momentum, rebound and the possibility of letting go of unnecessary tension, will help us to create movement flow through space. Focusing on floor work technique, we will learn to direct the body easily through all levels. We gather energy and find articulation in our body, bringing it into phrases across the floor as well as throughout space. Lightness in the body and clarity in the movement are the main goals of this workshop. Michael Langeneckert works as freelance choreographer, teacher and dancer, and lives in Freiburg, Germany. He currently does project work and choreography for his new label moving orchestra in Freiburg, as well as being a guest choreographer for the students of SEAD in Salzburg and in many international theaters. He teaches internationally throughout Europe and has worked as a rehearsal director and dancer for Johannes Wieland, Sharon Eyal, Guy Nader and Maria Campos, Guy Weizman and Roni Haver, Rui Horta, Martin Stiefermann, Susanne Linke and many others. This workshop will focus on building technical awareness and strength for Contact Improvisation. By engaging with tools drawn from Material for the Spine, ReWire-Dancing States, Flying Low and a variety of somatic practices, we will dive deeply into the range of nuance in solo body pathways. Each class will consist of three main parts: a somatic tuning with a partner; the practicing of technical solo body pathways; an investigation of an improvisational principle into open dancing. This workshop is intended for people who are already experienced in Contact Improvisation and are looking for more technical information. 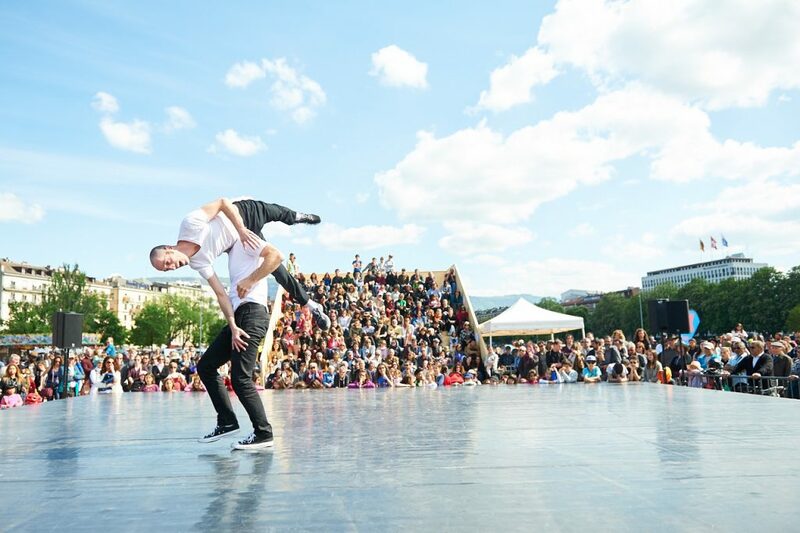 Andrew Wass has been investigating Contact Improvisation for over 20 years and taught at festivals, studios, and universities in Europe, Asia, and the United States. His performance work has been shown in San Diego, LA, San Francisco, Marfa, Tijuana, Berlin, Seattle, Tokyo, and New York. He has performed with CI notables such as Jess Curtis, Scott Wells, Nina Martin, Chris Aiken, Ray Chung, and Nancy Stark Smith. Along with his colleagues of the Lower Left Performance Collective, he organizes March 2 Marfa and Dance Ranch Marfa, a performance labs for improvised dancing. Der Kurs richtet sich an alle, die die besonderen Qualitäten eines “neutralen“ Balletttrainings für sich und ihre Arbeit nutzen möchten. Maggie Black übertrug ind er von ihr entwickelten Trainingsform wichtige Erkenntnisse aus der somatischen Arbeit auf das Ballett. Der Aufbau der Übungen erlaubt den Teilnehmer*innen, sich mit Fokus auf Alignement und Placement in ihrem Körper zu spüren und die Bewegungen bewusst und körpergerecht auszuführen. Der Kurs richtet sich auch an ausgebildete Tänzer*innen. Regina Baumgart wurde am Stuttgarter Ballett ausgebildet. Sie tanzte u.a. in Kompanien wie dem Stuttgarter Ballett und arbeitete mit der Choreografin Reinhild Hoffmann. Tourte weltweit mit den namhaftesten Musikern der Freien Improvisierten Musik. Sie ist als Dozentin an Hochschulen tätig und Lehrerin und Therapeutin der somatischen Methode EUTONIE Gerda Alexander. Olivia Ancona was born in San Francisco, however grew up in Berkeley, London, and predominately Portland, Oregon. After training at the Juilliard School, she joined the Batsheva Ensemble (2010-2012) under the direction of Ohad Naharin and returned to the main company in 2015. Olivia was a founding member of Sharon Eyal’s LEV, and has worked with Mats EK, Johan Inger, Wim Vandekeybus in the Royal Swedish Ballet, Sidi Larbi Cherkaoui (Eastman) and Luca Veggetti, amongst others. Most recently she was a guest with the Tanztheater Wuppertal Pina Bausch and in the fall of 2016 danced, acted, and coached in the recently premiered film, Suspiria, directed by Luca Guadagnino. She is a certified Gaga teacher and regularly teaches workshops and classes internationally, as well as staging Sharon Eyal’s works. She is currently based out of Berlin and will participate in upcoming collaborations with choreographers Bryan Arias and Alan Lucien Øyen. Gyrokinesis basiert auf Wirbelsäulenbewegungen in alle Richtungen. Kreis- und spiralförmige Bewegungsabläufe werden fließend verbunden. Alle Bewegungen entspringen aus der Körpermitte und fließen in die Körpermitte zurück. Durch tiefe und rhythmische Atemzüge wird der Körper regeneriert und gestärkt. Jeden Morgen findet ein Training statt, in dem Elemente aus unterschiedlichen Levels vorgestellt werden. Jeder, mit oder ohne Vorkenntnisse ist willkommen. Ballet: Function and Flow is focused around coordination, structure, and musicality. We use the basic technique of ballet to move and dance. The physics of movements are noted as tools to express our choices and intentions. Jubal Battisti is a US-born, Berlin-based performer and visual artist. 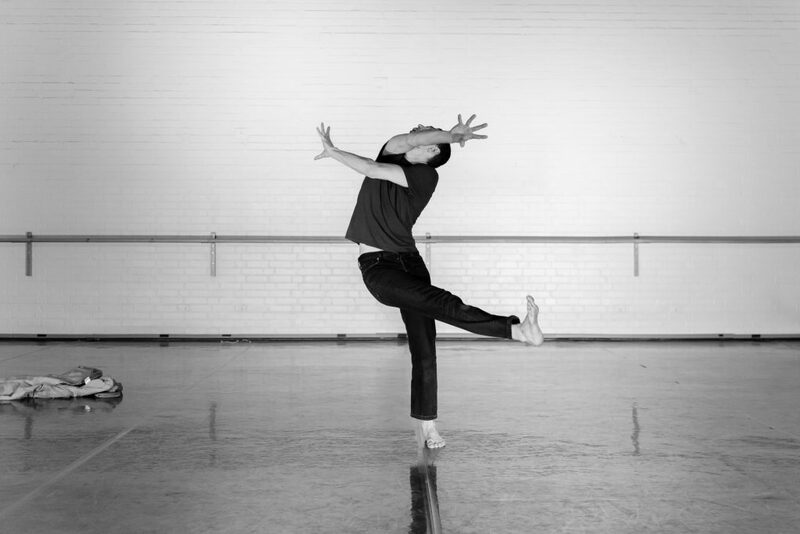 After graduating from The Juilliard School, he danced with Cedar Lake Contemporary Ballet for 8 years and joined the GöteborgsOperans Danskompani in 2012. Since 2014, he has been freelancing and teaching around Europe. 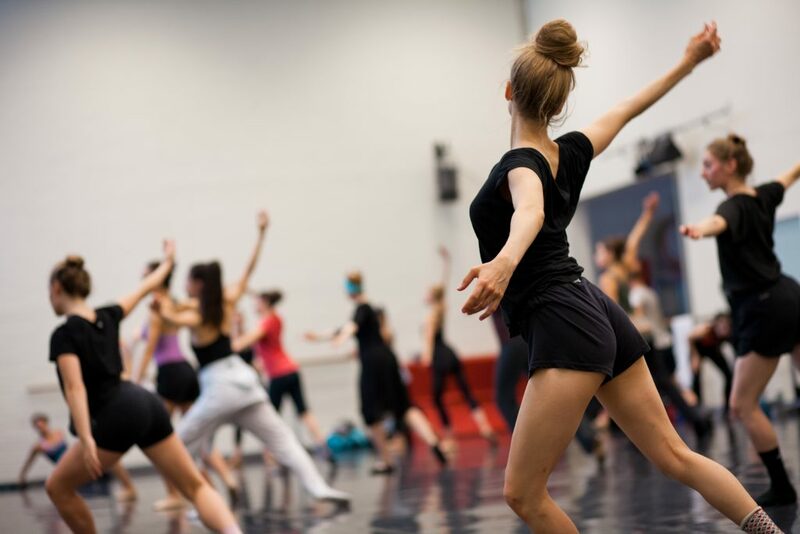 In New York many Broadway musicals and famous stage choreographies started with a series of developmental workshops, separate steps along the way to creation. The M.A.D Mix Workshop is the first step of a two-step process to create an original piece for the Performance Project in 2019. The steps can be enjoyed separately or in tandem. The training for the workshop consists of diverse training systems, guided and structured improvisation; as well as upgrades in the M.A.D. Mix repertoire. 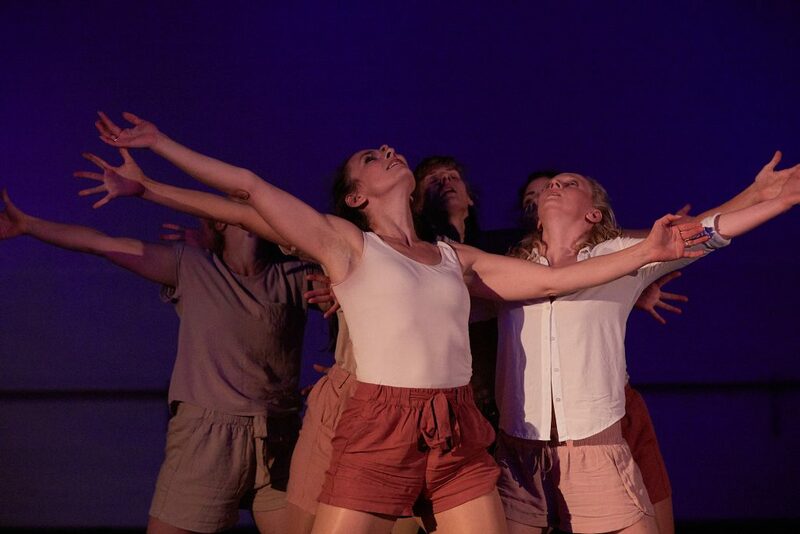 The aforementioned elements will be synthesized with the objective of fashioning a versatile and creative dance environment for participants who enjoy expressing themselves deeply in new, nuanced and meaningful ways. This approach will be helpful in the choreographic explorations of this year’s theme: the polarities of human nature existing in all of us. Kelvin O. Hardy grew up in New York where he received a diverse and qualitative dance education. He performed, primarily as soloist, with several modern dance companies in New York and Philadelphia. He is presently teaching contemporary modern dance and improvisation at the State Ballet School/ Staatliche Ballettschule in Berlin and Modern American Dance Mix at marameo. Based in Berlin, he has taught and choreographed internationally for many years in various techniques and styles; in many prominent professional dance institutions.